The Magento 2 extension for payment filter allows the admin to filter the payment methods for the customers. The admin can assign any of the particular payment methods to the customers. The payment filter Magento 2 extension allows the admin to approve or disapprove the customers to the store. Once the customer has signed up at the store, the admin as per the choice or rules can approve or disapprove the customer to the store. The filter payment methods Magento 2 extension allows the admin to set the Magento default payment method. These Magento default payment method will be visible to all the customers if in case the admin does not select any payment method for the customer. 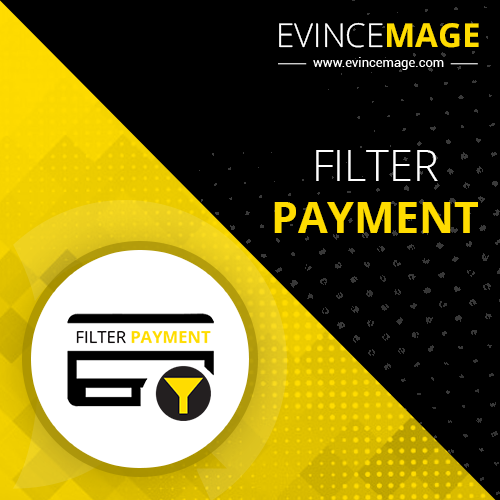 Our premium Magento 2 filter payment methods extension allows the admin to assign specific payment methods to the customers. To accomplish this, the admin needs to edit the customer from the gird. After that, the customer will be able to make payments only via the allocated payment methods by the admin. Our Magento 2 filter payment methods extension for Magento is programmed to operate across all the Magento 2 extensions. No matter what is the version of your Magento 2 store, our filter payment methods Magento 2 extension is easy and flexible for all Magento 2 versions.